My wife and I love skiing, well she ski’s and I snowboard. We got engaged on a ski holiday in Lake Louise in Canada back in 2002 and we now have two boys who love skiing too. We took them to Whistler a few years ago for their first ski holiday where they learnt to ski and this winter we booked a family ski holiday a little closer to our home in Cornwall. We are going to Les Arcs in France. 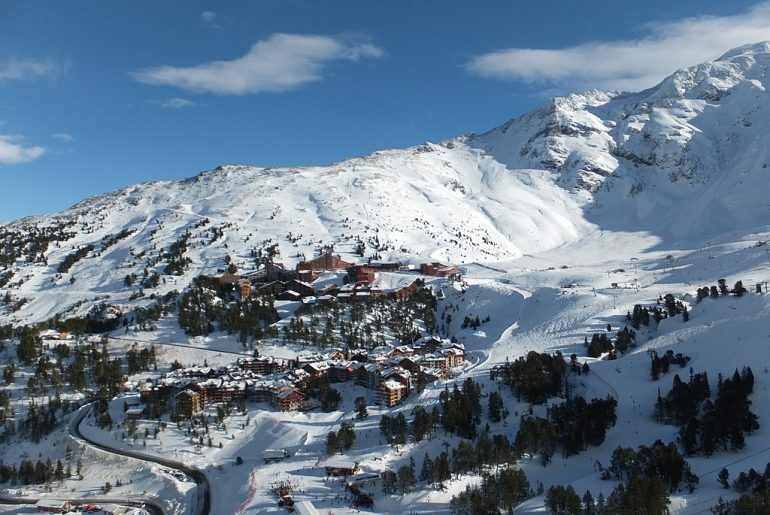 Les Arcs is a very popular choice for family ski holidays with good reason. It’s great value for money, good snow fall, nice gentle slopes perfect to learn on, high quality purpose built accommodation perfect for families (many apartments are ski in/ ski out and offer great convenience to families looking for easy access to a large ski area) along with family leisure complexes. 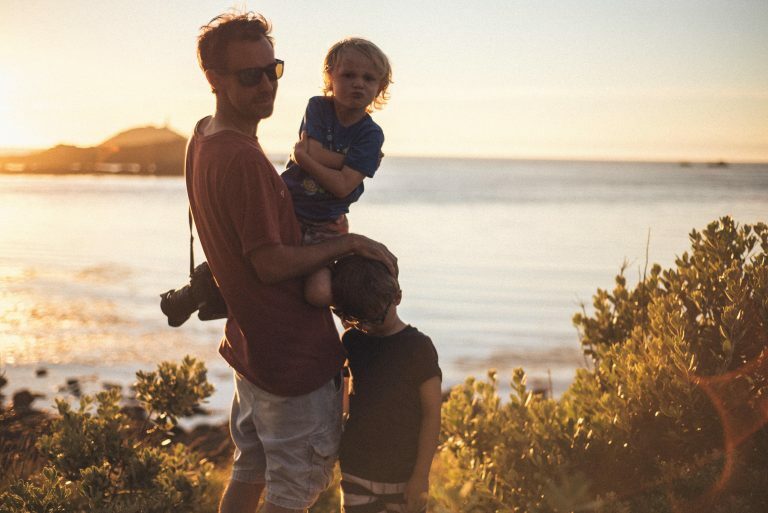 Arc 1950 – our favourite spot for families to stay. 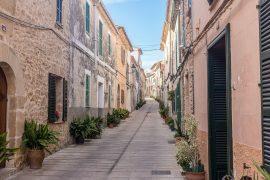 The resort is pedestrianised and has its own ski school and kids club as well as plenty of facilities such as the swimming pools, kids’ corner, loans of board games and PlayStations to keep the kids entertained. Arc 2000 – is the furthest of the group but still offers great access to the Paradiski area. The 4 holiday villages are all pedestrianised and offer direct access to the ski slopes. You can take a shuttle bus (free with your lift pass, running every 20 minutes) between villages so you can easily enjoy each resort. 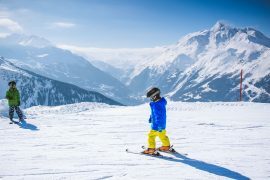 Ski schools in Les Arcs take children from 3 years old and ski equipment (skis, boots, helmet, mittens & goggles) can be rented at various ski hire shops across Les Arcs. 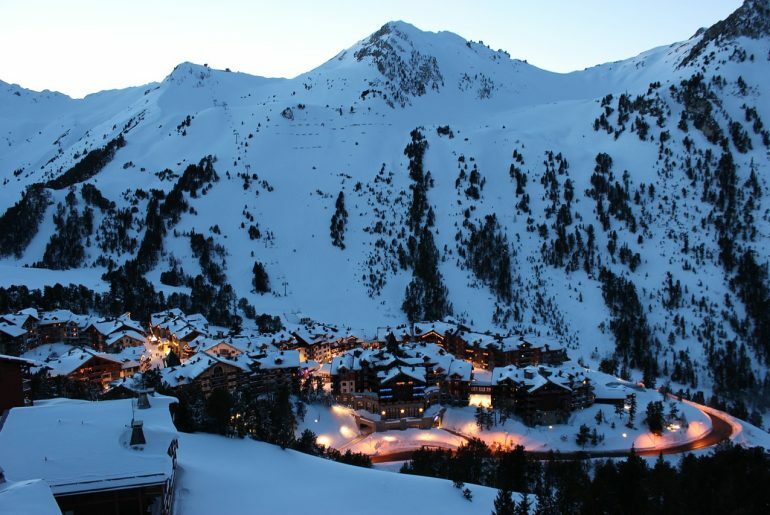 Les Arcs forms a part of the famous Paradiski ski area with over 425km of pistes, a modern ski lift infrastructure and superb snowparks. Each village has it’s own beginners areas with gentle slopes and slow drag lifts. With the lowest nursery areas being at 1600m, you are guaranteed good quality snow to learn on. 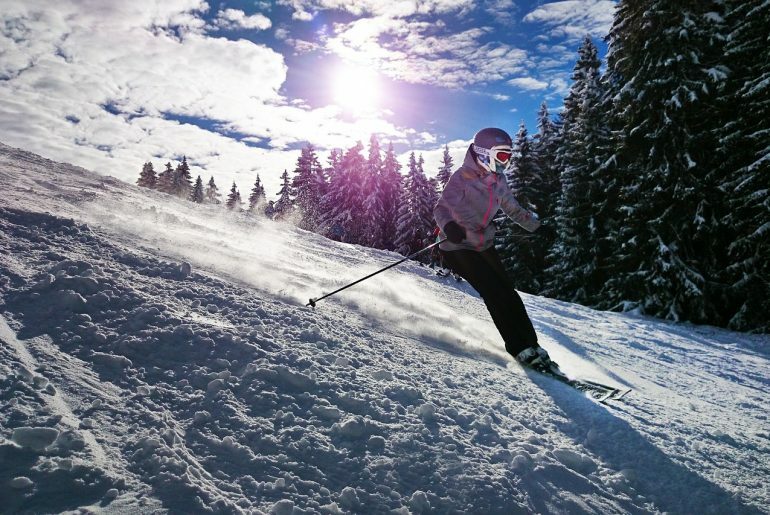 You can find out more about which slopes are the best for beginners in our Beginner Ski Areas in Les Arcs Guide. There are two snowpark areas in Les Arcs. The Apocalypse snowpark sits above Arc 1600 and includes modules for beginners, intermediate and advanced skiers and snowboarders. Even if you are not tempted in yourself, it can be great fun watching when there are competitions on. In the Mille8 zone by Arc 1800 there is a ski and boardercross track known as Les Bosses, where you can be filmed if you scan your ski pass at the start. A new entertainment complex called Mille8 in Arcs 1800 has recently opened which includes fun ski areas for all ages, dedicated snow play areas for small children and a swimming complex. Access to this complex is included in your ski pass (except for the toboggan & aquafun centre). You’ll find a lodge with restaurants which also serves as a venue for events throughout the season, and a 3,800sqm swimming complex with covered pool, whirlpool baths, hot tubs, waterfall and slides, and a special play area for children. There is also a fitness centre, steam baths and saunas. If you want to stay on the slopes, there is a kids zone called Les Pingouins which has igloos, a sledging area, baby snow park and a magic carpet. 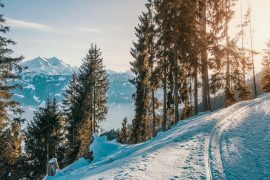 There are winter walking trails you can take through the pine forests, and a 900m toboggan run that twists and turns down the mountain, finishing through an illuminated tunnel (for ages four and over). Also in Arc 1800 is a laser quest game, you’ll find it by the tourist office and a cinema which shows English language films (look for the VO showings). There is another toboggan run above Arc 2000 called Rodeo Park which is a bit more adrenalin fuelled – it’s 3km of sliding with lots of banked turns. Children from the age of 10 (and 1m 25cm high) can give it a go, accompanied by an adult. Also in Arc 2000 is an Igloo Village, with ice cave, bar with terrace, and a giant ice slide (!). It’s also possible to overnight here upon reservation. Continuing with the ice theme, there is an outdoor ice rink at Arc 2000, you can rent skates here and it’s suitable for adults and children. Other activities you may like to consider for your children include snowman building, snowball fun, and if you want a real treat, try Husky dog sledding where the little ones from the age of 5 can ride in a passenger sledge with you. There are indoor bowling alleys in Arc 1800 and in Arc 2000 which also feature amusement arcades. 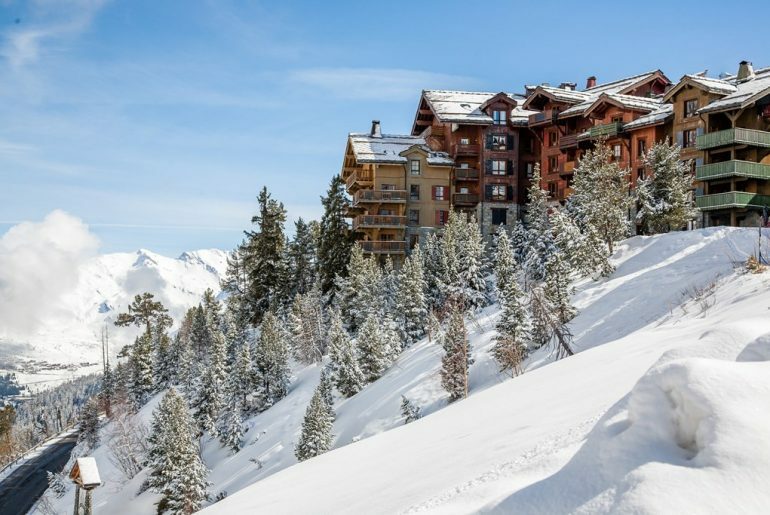 Each village in Les Arcs has good childcare options and children’s ski schools operate in each resort and independent nanny agencies are also available but word of warning – both of these should be booked well in advance of your ski holiday. 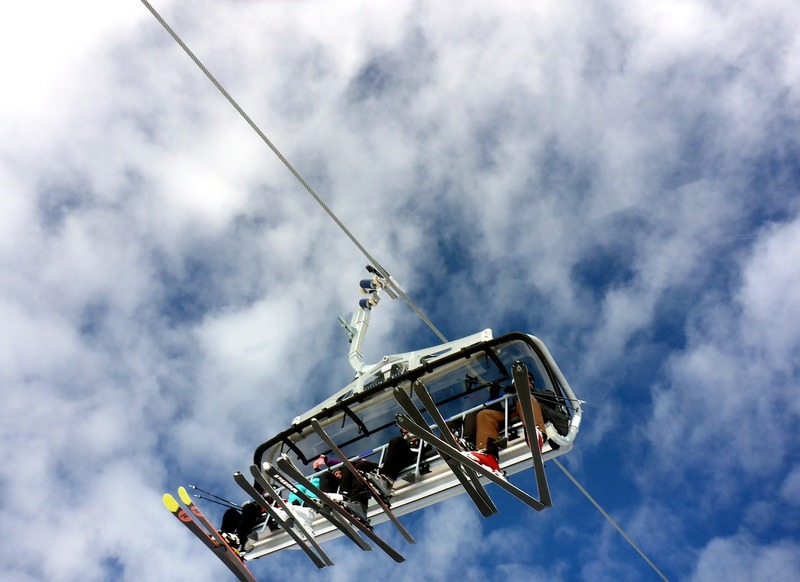 Wherever you stay in Les Arcs, make sure that your accommodation, ski hire and ski school meet-up points are all in the same locality so that getting to your ski school or the ski lifts is not too arduous – important when you are carrying more than one set of skis! 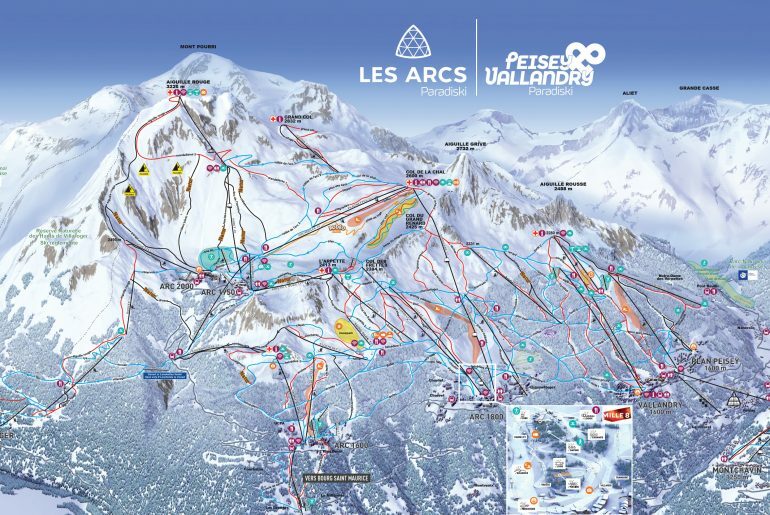 Have a look at a Map of Les Arcs Ski Area to see how everything is connected. Make sure the children have enough layers on to stay warm. Remember to apply sun cream to their faces before they start and place a snack in their pocket, just in case. Children under 3 years old maybe too little to try skiing so some help with child care is essential if you plan on skiing yourself. The main winter establishments to help with childcare include the ski schools who cater for children who are three years and older. You can book your child in for full or half day programmes and lunch can also be provided for an extra charge.